PET FRIENDLY: This collection is made up of our favorite pet friendly succulent selections. Many people worry about having plants around their pets for their safety, and this little collection is a mini solution to that worry! PLANT HEALTH: Succulents come fully rooted in 2" grow pots. We offer a 90 day GUARANTEE on all plants! Every order includes a helpful care card with detailed care instructions to give you the confidence you need to keep your plants thriving! EASY TO CARE FOR: Succulents are drought tolerant plants that do best in bright indirect sunlight with minimal water! Perfect for beginner and experienced gardeners alike! Our shop has tons of new species arriving every week! 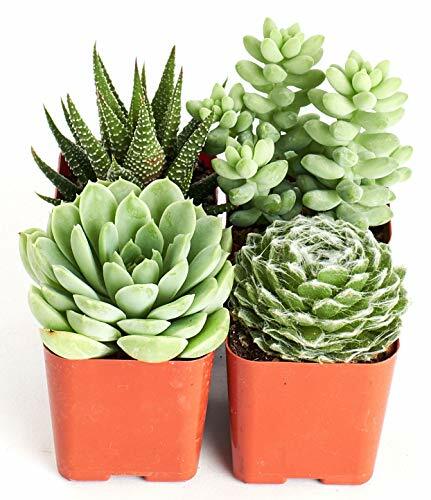 GIFT IDEAS: All Shop Succulents plants and arrangements are packaged in high quality retail packaging making these items the perfect gift to send directly to your recipient! A lovely gift to send to any plant lovers in your life! DECOR: Use this pet friendly pack as indoor or outdoor decor with the confidence that its safe around your furry friends.